Let's face it...we're no closer to vanquishing the cyber-criminals and hackers that plague the internet than we were a decade ago. In fact, cyber crime actually grows significantly year after year. So it's clearly as important as ever to ensure that your computer and mobile devices are afforded the protection of the best antivirus out there. Even if you own the best computer in the world, you're at risk. You may be most familiar with names such as Norton, McAfee and AVG - but are they really the best? We've tested and reviewed the latest packages - both premium and free antivirus - from the biggest names in cyber security, so you can be confident that our recommendations can be trusted. More than 80 antivirus and security suites have been reviewed and re-reviewed by our experts, as of April 2019, to give you the very best solution to protect and secure your devices. Creators of malware and viruses are always coming up with new ways to gain access to your PC and other internet enabled devices (with your mobile phone and tablet included). Luckily online software security companies are constantly updating their security software packages to protect against phishing scams, ransomware and all other types of viruses and malware. 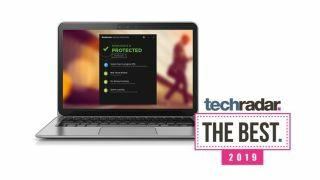 Right now, we think that Bitdefender Antivirus Plus 2019 is the best antivirus available. It combines watertight security tools with an array of other excellent security features and is super easy to use, too - best of all, it also offers extremely good value for money. You can read more about what it offers below, together with Norton AntiVirus and Webroot SecureAnywhere that complete our top three. If you’re looking for all-round protection against the latest cyber threats, then investing in the strongest programme is the best solution you can hope for - and we also have the best business antivirus plans if you're looking to take care of your company computers. That doesn't mean you have to start spending big money either, as our guide also gives you the best available prices for the best software. And if it's the best free antivirus that you're after, we have some top recommendations for you, too. In a world packed with free security software, Bitdefender Antivirus Plus 2019's annual fee may look expensive, but there's plenty of bang for your buck. Plus, it has reintroduced its mega 50-60% discount on its top packages - including Antivirus Plus - too. See below for pricing. Take a look at any rankings of big independent antivirus and Bitdefender's premium security products always rise to the top. It tends to be reliable and accurate in its virus detecting, featuring web filtering to blocks access to malicious sites, a secure browser that keeps your online banking ans shopping transactions safe, and there's a password manager which auto-completes credit card details in web forms. It also scores high for its excellent anti-phishing module, which alerts you to malicious links in your search engine results and blocks access to dangerous sites. New for the 2019 version of Antivirus Plus are multi-layer ransomeware protection that heuristically learns the behaviour of such threats to keep you safe as well as the ability to scan all your linked devices via the Bitdefender Central mobile app. There are one or two issues – it grabs more resources than average, and might conflict with some programs – but Bitdefender Antivirus Plus 2019 is still a likeable package which offers excellent detection rates, great performance, and more than enough bonus features to justify the price. Bitdefender Internet Security 2019 builds on AVP 2019 and triples the number of devices covered plus offers anti-spam, firewall, parental advisor and file encryption features. For a little bit more you can purchase the Total Security 2019 edition. It adds all of the above and covers up to five PCs, Macs, Android and iOS devices. Norton AntiVirus Basic is a top quality malware hunter which can automatically protect your PC all on its own - that's a given. But one of the main reasons we've boosted it to number two in our best antivirus rankings is because it's also one of the very best value paid-for security software options on the market. Norton offers plenty of tweaks, options and settings for those who need them, as well as features like a handy URL blocker that keeps you away from malicious websites. If that misses something, an excellent file reputation service heuristically recognises suspect downloads immediately. And if malware still finds a way through, intelligent behaviour monitoring uses its up to date virus definitions to quarantine threats at the first sign of trouble. If you're a more hands-on type, you can easily run scans on demand. Maybe set up and save custom scans to check just the areas you need. Even schedule them to run at a particular time, but only if your system is idle, and it's not running on battery power. There can be problems with some of the browser extensions. The bundled Norton Identity Safe is a capable password manager when it's running properly, but we've found the Chrome version sometimes stops working for no apparent reason. We've seen plenty of reviewers reporting similar problems, so there does seem to be a real issue here. Still, you don't have to use Identity Safe at all, and Norton AntiVirus Basic's main functions deliver on all fronts: it's easy to use, has the configuration options experts need, comes highly rated by the testing labs, and is carefully designed to have the least possible impact on your system performance. There's no compromise on features, though. Along with the core protection, there's smart behaviour monitoring, accurate real-time antiphishing, a firewall and network connection monitor, enhanced anti-ransomware, and other interesting extras. It's not easy to compare Webroot's accuracy with the competition, as the big testing labs rarely evaluate the company's products. But when they are reviewed, they generally score well, and our own tests show solid and reliable protection. There's a lot to like about SecureAnywhere AntiVirus, and Webroot's 70-day 100% money-back guarantee suggests it's confident in the product, too. If you're tired of overly complicated and bloated engines, Webroot must be on your shortlist. If you judge antivirus software on the length of its feature list, ESET NOD32 Antivirus might be a disappointment. There’s no firewall, password manager, file shredder, vulnerability scanner or any of the bundled extras you'll often find elsewhere. This doesn't mean the package is short on power, it's just more focused on the fundamentals. ESET NOD32 Antivirus comes with real-time malware protection, some of the best heuristic detection around, an anti-ransomware layer, exploit protection, URL filtering to block malicious websites, and modules to prevent attacks using PowerShell and malicious scripts. A Device Control module limits the risk of infection from other devices by controlling access to USB sticks, external hard drives, optical storage media, even devices connecting by Bluetooth and FireWire. It's an unusual extra, but could make a difference if others are regularly plugging devices into your PC. ESET NOD32 Antivirus isn't aimed at beginners. The interface is clumsy sometimes, some features are very advanced, and even the Help isn't always exactly helpful. Experienced users will appreciate ESET’s power and configurability, though. Above-average protection does a good job of keeping you safe, and a lightweight design ensures the package won't slow you down. One of the new features in the latest update is the UEFI Scanner which protects you from threats that attack your PC before Windows has even started. F-Secure Antivirus SAFE is a great collection of antivirus tools, and while it's a bit more expensive than some of the other programmes on this best of list, the amount of features you get makes the cost worthwhile. The interface is a major plus. It's extremely easy to use, lightweight, and for the most part you can just leave the app alone to look after your PC. The program has minimal effect on your system performance, and if you do need to intervene then you can generally solve any issues in a couple of clicks. In 2018, F-Secure Anti-Virus SAFE remains an appealing package: fast, lightweight, and able to run alongside many other security tools without conflict - you can read more about the company's offering with our F-Secure Anti-Virus review of its slightly lighter product. Kaspersky Anti-Virus is a stripped-back security package which focuses on the core security essentials: web filtering blocks dangerous URLs, an accurate engine detects and removes threats, smart monitoring technologies track and reverse malicious actions, and that's about it. Fortunately, what you do get works well. Very, very well. We've consistently found Kaspersky to be amongst the best at blocking malware, and removing it from an infected system, plus it's regularly top-rated at sites like AV-Comparatives. If you just need accurate, reliable and consistent malware protection, Kaspersky Anti-Virus will serve you well. Trend Micro Antivirus+ Security is a very capable package that's simple to use with above average antispam and an effective ‘Folder Shield’ module to block ransomware. And it seems to get better and better as time goes on. How good is it exactly? The top testing labs all rate it highly for protection, although there's some disagreement on the details. In particular, AV-Comparatives says it gives a high number of false positives, which could be a real nuisance. But AV-Test reports high levels of accuracy and no issues with false positives at all. If there's a problem here, it's likely to be performance impact. PassMark's March 2019 Performance report assessed 14 security products on various performance-related benchmarks, and Trend Micro came towards the bottom part of the list. Our experiences with the product are a little more favourable: protection levels appear similar to Bitdefender, false positives are only marginally higher, and it doesn't slow down our system noticeably more than anything else. We'd recommend running the trial for its full 30 days before you buy, then, to see if you notice any problems. But if you're unaffected, its high levels of detection and excellent bonus features make Trend Micro a good choice. Real-time malware detection, speedy cloud-based scanning, URL filtering to block malicious websites: Panda Dome Essential antivirus has all the goodies you'd expect from the best antivirus software. That's just the start. Panda Dome is jam-packed with added extras that some of the other plans on this list don't match. From port scanning and ping handling to in-depth process monitoring and an integrated VPN. When it comes to the main event - virus protection - there's not a lot of Panda test results from the independent labs around right now, but the figures we've seen don't exactly fill us with confidence as Panda came towards the bottom of the pile according to AV-Comparatives. This doesn't mean that Panda Dome will put your devices in harm's way, but you can understand why we'd recommend other providers over it on this basis. The interface will be a little bit decisive, too. With so many weird and wonderful features included, Panda Dome does a very capable job of making sure that they can all be accessed and you can go as in-depth as you need. But on the other side of the same coin, this might put off users who just want a quiet, simple antivirus package. One undoubted bonus is the price - Panda Dome Essential is one of the best value programs out there. And you even have the option of paying a little more and upgrading to cover an unlimited number of laptops, phones, tablets and desktops with a single subscription. But these days you can get top quality protection absolutely free, with just about every single major vendor out there offering a free antivirus. By doing so, developers gain access to more devices from which they can collect data and therefore improve their knowledge and security platforms, so it’s not in their interest to reduce the amount of protection provided by the free version. Windows has come a long way in terms of security, but it's still fair to suggest that Windows 10's built-in solution, Windows Defender, is the last free AV app you should trust to keep your system clean. So if you're determined to get free antivirus, we strongly suggest that you check out our list of best security downloads in 2019 below. We've highlighted their features -and shortcomings - to ensure that you pick out the best one. Essentially consisting of the AV section of the full product, Bitdefender Antivirus Free Edition's clean, light, well constructed scanning mechanisms – which are almost universally faster than the industry average – and unrivalled virus definitions mean Bitdefender is back at the top of the free tree. The free version's insistence on running in autopilot mode is a double-edged sword, making the process of virus management easy but taking it out of the user's hands; while we're inclined to trust it, there have been cases in the past of automatic systems going slightly rogue, such as the incident a few years back when Panda Antivirus identified itself as a virus and locked up a large number of Windows systems. AV-TEST's testing did pick out a few flaws in its handling of zero-day threats, however. And it's worth pointing out that for you can currently get our top rated paid-for solution - Bitdefender Antivirus Plus - for the equivalent of around $2 per month. That's a tiny amount to pay for a tonne of extra features, such as online banking protection, integrated password manager, permanent file shredder and and free online 24/7 support. Avast and AVG haven't yet fully merged, despite the former formally acquiring the latter in mid-2016. The newly combined company says the two free antivirus products will remain separate, although there's apparently a joint AV package on the way soon. Obviously, though, Avast now has a lot more data to work with, having expanded its effective userbase (and, therefore, its threat detection network) to a whopping 400 million users. The latest edition of Avast Free Antivirus adds an automatic gaming mode to mute popups and reduce system load when you're firing up a processor-hungry game, which is very handy indeed, and the interface has been given a clean new overhaul. There's a password manager, too, which is an undeniably good addition to your security portfolio. It scores well on AV-TEST's widespread malware benchmark and continues a clean sweep against 0-day attacks – presumably that expanded detection network is really helping. Less impressive is the slight negative effect Avast has on software launch times, and its slightly popup-heavy attitude. Marketing itself as "business-grade security", Sophos Home does a little more than most free antivirus software, and actually seems better suited to families. You get standard virus protection and anti-malware protection, along with browser tools like anti-phishing and, most importantly, content control. Combined with central management of up to 10 PCs, this means you can effectively lock down your kids' browsing options. Although AV-TEST hasn't formally assessed Sophos' skills, fellow lab AV-Comparatives offers a decent rating of its abilities. Although Sophos Home has always had desktop notifications, there was no premium version of the software for it to encourage an upgrade to. That changed in February with the launch of Sophos Home Premium. The paid-for version of Kaspersky's Windows security software frequently tops charts of best virus prevention solutions and AV-TEST once again gave it full marks across the board in its latest round of testing. As you would expect, Kaspersky Free is a scaled down version of the full program - a tool that we really like (more on which below). The free version ditches additional features such as privacy protection and safe payment sandboxes to concentrate on powerful, no-frills and - most importantly - free protection for your PC. The result is a tremendously easy to use and navigate bit of software that does an effective job of keeping you protected from viruses. Using the nuts and bolts real-world scanning engine of the paid-for suite, Kaspersky Free is fiendishly hard for viruses and trojan horses to break down. And we love that it doesn't constantly pester you with nudges to upgrade to the full version. But, ironically, we will just for a moment, because Kasperksy Anti-Virus 2018 isn't expensive to buy and yet affords much better protection to your PC (or PCs). The standard price is $29.99 to protect three computers and includes more muscle when it comes to preventing ransomware, spyware and Trojans. Avira Free Antivirus for Windows continues to score highly on AV-TEST's stringent testing program, quashing 99.7% of tested threats, and it generally doesn't put too big a burden on your hardware. It has a clean, friendly interface - with a swish redesign ready for 2018 - and throws up minimal false positives. The introduction of a free security suite to optionally run alongside it – with ransomware and phishing protection, a 500MB/month VPN and various speedup promises – just sweetens the deal. This is one of the best free antivirus packages of 2018. So why, then, have we dropped it from the top spot on our list, a position it's held for the past two years? It's the constant badgering. There's a certain level of popups and advertisements that's acceptable for a free product, and Avira has begun to cross the line. It's not as onerous as some – Comodo's over-enthusiastic interface comes to mind – but booting up your PC to see Avira shouting at you once again is jarring. Each entry in this list has been carefully chosen for its business features, such as remote installation and central management. The best business antivirus software will have enterprise-level protection against threats, but that doesn't mean they have to cost a lot of money, either. The price per installation can sometimes be cheaper than even our recommended best antivirus packages. An excellent business antivirus suite, giving you various tools such as virus protection, Firewall, email protection, anti-spam and the ability to sandbox applications for complete security. Avast Business Antivirus Pro (as opposed to the standard Avast Business Antivirus) also includes Sharepoint and Exchange protection, as well as a number of tools for your servers. Symantec's first benefit is the company's Insight file reputation technology, an effective way to detect and block even the very latest undiscovered threats. Other layers of protection include virus protection, behaviour monitoring, intrusion protection, a firewall, and the 'Power Eraser' to remove stubborn threats and repair your system. This package makes reliable protection its top priority. Bitdefender products are loved by the independent testing labs, highly rated for malware detection, removal, performance and usability. Most of the features work automatically – anti-malware, firewall, web advisor, URL filtering – but you can also customise the product to control user actions. This is Avira's main small business product. It takes all the core features you'd expect – antivirus, baseline network protection, web filtering – and extends them with file server protection and optimisation, along with application whitelisting and blacklisting. A small business product, which comes ready to protect Windows PCs, file servers, Android and iOS devices. The desktop side of the package has all the usual quality Kaspersky modules – antivirus, antispam, a firewall, more – but the mobile security technologies are even more impressive.